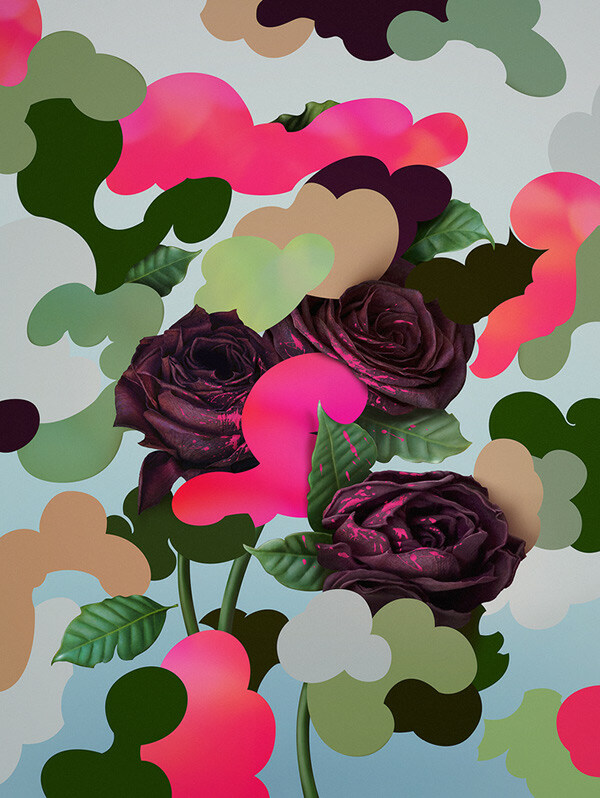 Series of illustrations inspired by American camouflage patterns - "Woodland", "Clouds" & "Frogskin". An aesthetic transformation - juxtaposition of military motives with objects of beauty. 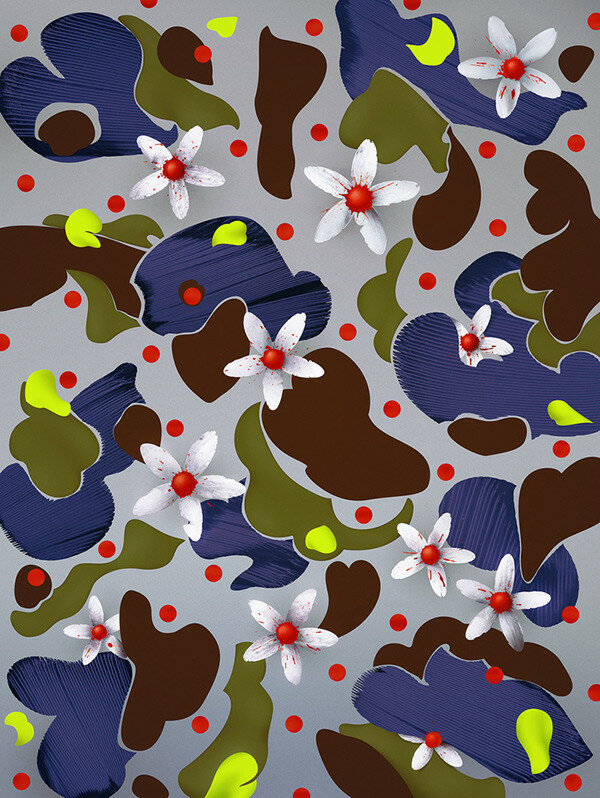 Series of illustrations based on American camouflage patterns - Woodland, Clouds & Frogskin. 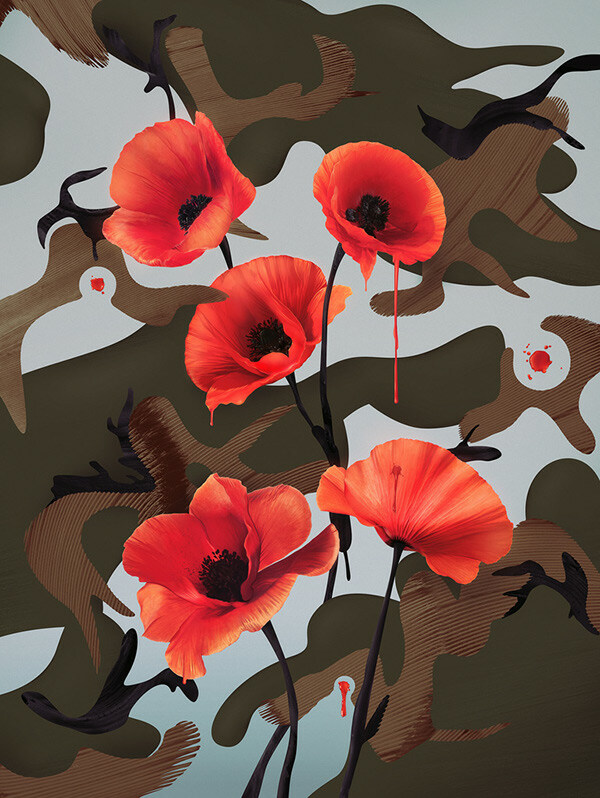 An aesthetic transformation - juxtaposition of military motives with objects of beauty.